When it comes time to get a new roof, many homeowners are unprepared for the process. From decision making on materials, to what to expect with a warranty, there are lots of important considerations to make sure the job gets done right. Many people go into the roof replacement process blind. Although you may not be the one performing the task, it is important to know what you want and what to expect. First, do some research in different roof material options. Although you may have traditional asphalt shingles now, you could find that upgrading to a better quality product or even green roofing solution is a good fit for your home. Also, shop around online and in builder material stores to get an idea of prices. Knowing the industry standard for roof materials could prevent you from being overcharged and save you money. Roof repair is not an everyday maintenance task. It is a process that should be handled only by a trained professional. When looking for a qualified roof contractor, start by asking friends and family for referrals. The most honest reviews come from previous customers, so find someone that knows of a company they trust. Check the company’s standings with the Better Business Bureau. 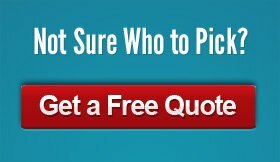 It is also important to obtain multiple quotes before choosing a roofer. Once you have decided on a roofing company, get proof of their insurance and license. Hiring an uninsured or unlicensed company is never advised, be sure the company you hire can back up their work. After the work has been completed it is important you keep a copy of the work order, receipt of payment and warranty information. If you are going to file a claim or submit the work to your homeowners insurance provider, you will likely need copies of all of these documents.